In order to maximise the benefits of fallow sprays, Dow AgroSciences' Rob Buttimor says they need to be managed to the same degree as in-crop sprays so growers do not end up with a mess in the spray tank. A good spray tank mix can be likened to a good party, where everyone gets along and there are no messy clashes. With many in the southern region getting their sprayers set to hit summer fallows following widespread rain, Dow AgroSciences formulation chemist Robert Buttimor is encouraging growers to take care when mixing chemicals, so their spray tank “party” is a success. 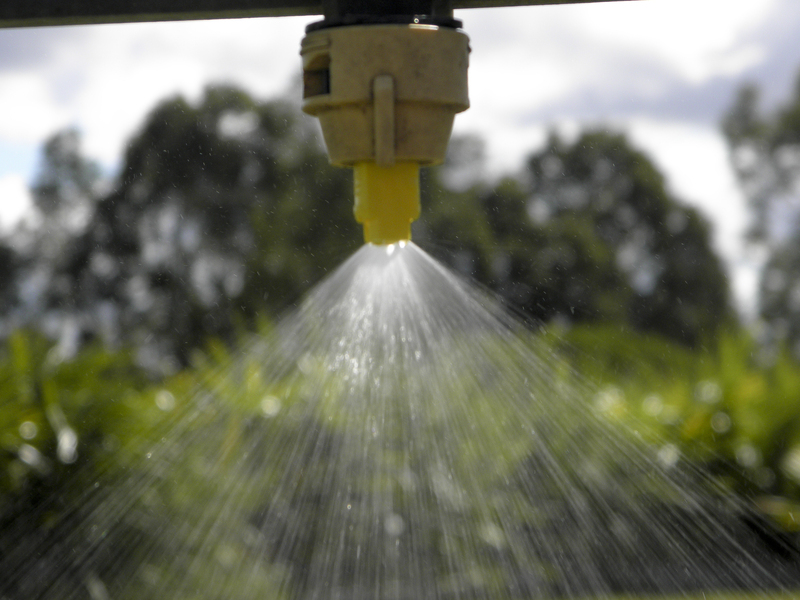 Fallow sprays are needed to keep weeds and pests at bay and to conserve nitrogen and water. In order to maximise the benefits of fallow sprays, Mr Buttimor says they need to be managed to the same degree as in-crop sprays so growers do not end up with a mess in the spray tank. He says for growers to fully understand the “party” in the spray tank and how the chemicals get along, they need to understand how emulsifiable concentrates and soluble liquids are developed and where they come from. Common herbicides such as glyphosate, 2,4-D, picloram and clopyralid all start life as acids. However, acids are not natural party-goers. They don’t dissolve in water. To dissolve fully with water there has to be partial positive charge and partial negative charge associated with the herbicide molecule. Mr Buttimor says amines are reacted with solid acid herbicide actives to create herbicide salts. This produces an ion that has a partial positive and an ion with a partial negative charge so it can dissolve in water, just like table salt. Different salts include potassium, DMA, IPA and TIPA, which are all standard salts used in glyphosate, 2,4-D and clopyralid formulations. Each of these salts have different properties that relate to active loading, as well as physical and chemical compatibility. When it comes to spray tank compatibility the reactions that create the water soluble salts can go the other way, forming insoluble herbicide acids, or they can combine with other ions and form insoluble salts. Things such as hard water (the party venue), complexity in the spray tank, spray volume (crowd control) and pH (alcohol at the party) can all contribute to the problem and block spray filters and nozzles. In order to ensure the reaction does not go the other way, growers mixing chemicals need to look at their water – the party venue. Many do not have a choice with their water as it is either hard – 300 parts per million and above – or soft. Hard water typically comes from bores, soft water comes from rain water. Growers who suspect they are having problems with crystallisation should have their water tested. Mr Buttimor likens ammonium sulphate (AMS) to glyphosate’s wing-man. The sulphate ion distracts the other ions at the party, such as magnesium and calcium, so glyphosate can ‘hook-up’ with the ammonium ion. As a general rule, if growers are using rain water (soft) they would have 1 percent AMS in the tank mix. If they are using bore water (hard) they would need to use 2 percent AMS. “Growers using 2 percent AMS in soft water are effectively wasting their money,” Mr Buttimor says. The trick to throwing a good party is to invite a group of people who will all get along, and not too many diverse groups which could clash. Mr Buttimor says growers need to be applying the same principle to their spray tank mixes. “If you use just one product in your spray tank you can go at extremely high loads,” he says. “Once you add diversity to your party, especially fertilisers which are notorious, they break up into ions and attract 2,4-D, clopyralid and glyphosate and crash out. There also needs to be lots of room to party – the more room there is to party, the less chance of trouble. Mr Buttimor says higher spray volumes give better efficacy and better coverage on plants, so it is important always err on a higher spray volume. Mr Buttimor says pH has a similar role to alcohol at a party – the right amount can make things run smoothly but too much can make things turn ugly. Growers worried that their water is too alkaline can do a test by adding water to a jar, adding the glyphosate relative to that amount of water and use litmus paper or a pH meter to check the pH level. It is important to test the pH of the solution “after” the glyphosate goes in, as it will adjust the pH naturally. Acids are esterified by taking the carboxylic acid group and adding a chain of carbons to it so it can be soluble with oil. But because oil and water do not mix, emulsifiers – the chaperones of oil – are added to it so it can enter the water. The emulsifiers have a negative charge around them so when the oil droplets go into the water they bounce off one another and do not come together to form a bigger droplet. If they did not have that negative charge, they would come together and form bigger droplets which would either float to the top or sink to the bottom of the spray tank. By adding lots of other ions to the spray tank in the form of hard water or soluble liquid herbicides, it neutralizes these charges and the oil droplets can come together to form large oil droplets, oily gels or general glug that will float to the top or sink to the bottom of the spray tank. This ties up the active and creates a big mess. During spraying, the emulsifiers, wetters and spreaders take the droplet and spread it across the surface of the leaf, disrupting the waxy layer on the surface and driving the chemicals into the plant where they will act. Eventually the droplet will evaporate, forming crystals. Below are general guidelines for tank mixing. It is always important to read labels and follow mixing instruction, because the exceptions to the rule can catch you out and cause problems.